Rochester Institute of Technology is advancing computer simulations to predict, for the first time, the complete cycle of neutron stars merging with other neutron stars or black holes. These extreme astrophysical events may be a source of heavy elements that make up the Earth and other planets, and represent the new field of multi-messenger astronomy. 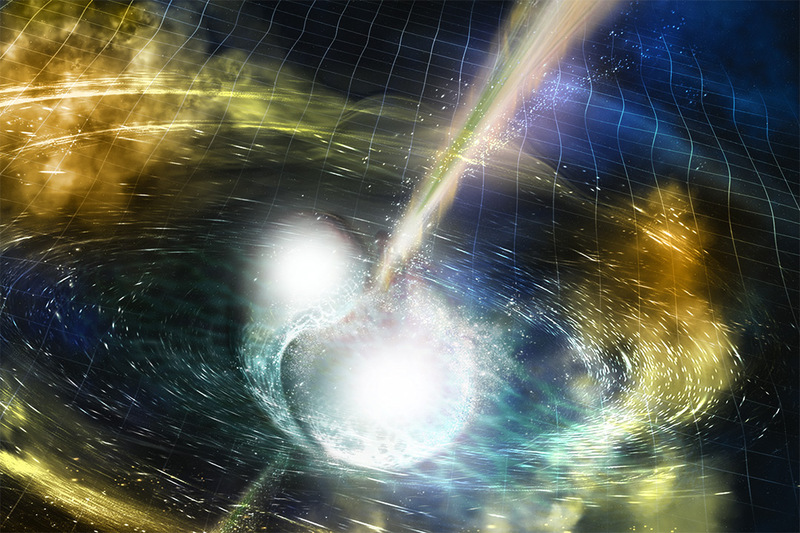 The project will advance computational methods for understanding the dynamics of ejection, accretion, winds and jets in neutron star merger, and is supported by $1.5 million from NASA. Campanelli will lead the collaboration involving colleagues at Johns Hopkins University, NASA Goddard Space Flight Center and the University of West Virginia, and other leading scientists in binary neutron stars and black hole-neutron star merger simulations. She is also the director of RIT’s signature New Frontiers in Gravitational-Wave Astrophysics program. RIT researchers will simulate electromagnetic signals and jets produced during post-merger, using the National Center for Supercomputing Applications at the University of Illinois at Urbana-Champaign. The RIT team recently won its largest allocation time (the equivalent of 163.2 million central processing units) on NCSA’ Blue Waters for a corollary study involving magnetohydrodynamic simulations of accreting supermassive black holes. The Astrophysical Journal, on Oct. 2, published a related study led by RIT.